Eviction killed 100-year-old Iris Canada: Will City approve condo conversion of the building she called home for 60 years? Good news: “The San Francisco City Planning Commission unanimously rejected an attempt by the building owners who evicted 100-year-old Iris Canada to convert their property to condos after every single commissioner said that the application submitted by the owners, and the information provided by the planning staff, were inaccurate,” writes Tim Redmond in a story posted to 48 Hills after the Planning Commission meeting Jan. 11. 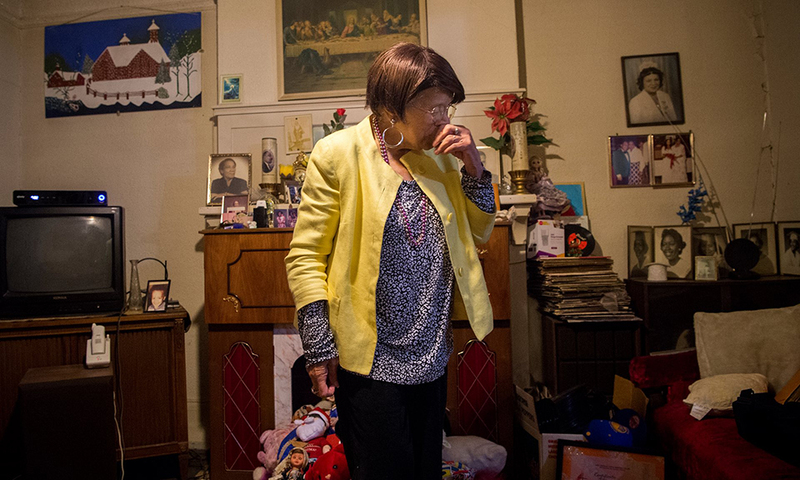 San Francisco – Tomorrow, Thursday, Jan. 11, in Room 400 of City Hall, the SF Planning Commission will be voting on whether to approve an application for the condo conversion of the Fillmore District apartment building from which Iris Canada, a 100-year-old African American woman, was evicted last February. Ms. Canada died in the hospital in March, shortly after that eviction. 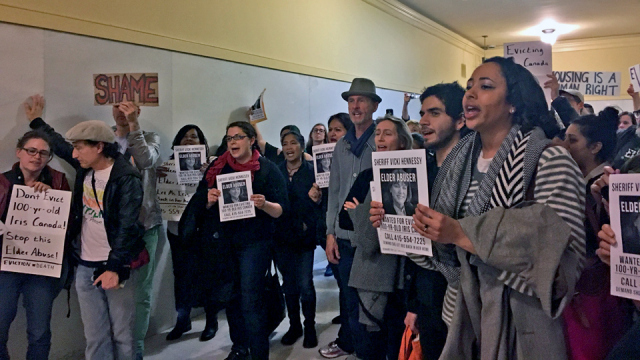 Tenant activists will ask the commissioners to reject the application for condo conversion on the grounds that the city’s condo conversion law prohibits conversion of a building in which there was an eviction of a senior. They are concerned that the application for the conversion and the Planning Department packet for the commissioners both state that there was no eviction and that Ms. Canada did not reside in her unit from 2012 to 2017, which, they say, is not true. Normally, condo conversion applications are part of the commission’s consent calendar, but Ms. Canada’s building was pulled for a hearing after Housing Rights Committee and Senior Disability Action objected on the grounds that they had concerns that needed to be heard. The item is No. 16 on the agenda. The commission meeting begins at 1 p.m. in Room 400 of City Hall. Tommie Avicolli Mecca is director of the counseling program for the Housing Rights Committee of San Francisco. Email him at tmecca@hrcsf.org. I have been thinking of you. There’s an emptiness since you left us. I do not speak merely of your physical presence – the presence of an elder whose mere gestures and silence spoke of the community that was built by hands such as yours, a community that is being taken away from us – but a presence that was as real as any tourist landmark, more real, in fact, because you spoke to us, to our core of what it means to be an elder, a Black woman in San Francisco. You refused to be silenced. Postcard images are flat and tailor made for the whimsy of those who are just passing through. Perhaps the words, “Since you left us,” are inappropriate, for they betray the truth of what you were burdened with in the last years – last moments of your life. You were taken from us, your memories and your life – the years that wrote themselves in the creases of your face, the aroma of your kitchen, the colors that surrounded and bloomed in your living room, minimized and disrespected in the ugliest way in an attempt to erase your presence from our landscape in the name of making money at any cost. To those who bought your building, you were the “furniture that came with the place” – an old lady who “needed to go” – because there were units that needed condo-converting and you were old. There wasn’t space for you and what you represented. We know better. 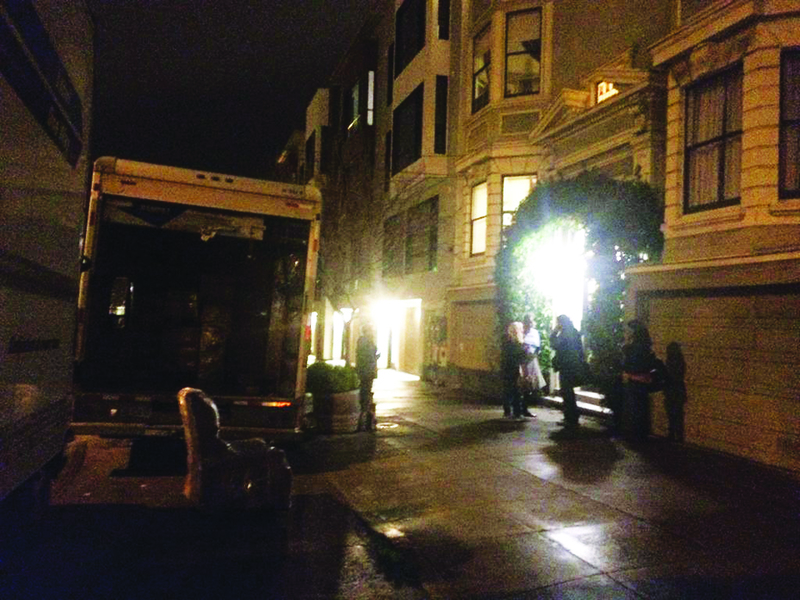 I needn’t repeat how ugly the city was in your eviction struggle, allowing a 100-year-old woman to be evicted; sheriffs locking you out of your home while you were away at a community senior program. This is San Francisco? San Francisco is a city of facelifts and buzzwords – beautify, renew – words that get tossed around a whole lot. But this beauty is surface beauty only. The fault lines are hidden, invisible to many but they break through just as sure as the fog eventually breaks. As rich as this city is, it is evident that its infrastructure is falling apart – that of civility, decorum, community – those things that connect us as human beings. Iris, I am ashamed of this city and I am ashamed of how it treated you and the legacy that was you, that was your community – without so much as a thank you. This city lives with a poverty of human connectedness. Iris, we miss you. The roots you left are still strong. We still feel your presence – we have not forgotten you – those of us who love this city, those of us who don’t forget the connectedness the city has to our lives in real ways that can be breathed and tasted and felt and touched, beyond commercial exchanges mediated by the digital parade that gives the illusion of connectedness. As rich as this city is, it is evident that its infrastructure is falling apart – that of civility, decorum, community – those things that connect us as human beings. Iris, I am ashamed of this city and I am ashamed of how it treated you and the legacy that was you, that was your community – without so much as a thank you. Iris, you lived 100 years and every day I walk in this city and see 100 lifetimes in the faces living in the cold – broken but still here. Iris, we want to push onward, but how do we? How do we throw off the blanket of indifference that smothers this city? Iris, the broken bodies, minds and spirits are piling up under a full moon fit for a postcard addressed to no one. Iris, we miss you. We haven’t forgotten you or the city that forgot you. How can we forget? How can we forget your face? How can we forget your voice? How can we forget what the city allowed to happen to you? How can we forget your so-called neighbors and landlord who wanted you out? How can we forget such abuse of an elder? We are hungry for your words, your wisdom, your heart. Speak to us, Iris. We need you.